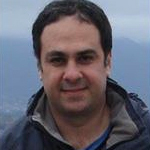 Mechanical Engineering (1993) and PhD in Mechanical Engineering (2002) degrees from the Escola Politécnica of USP. Expertise in machine and equipment design, with emphasis on automotive systems. Since 1996, a professor of the Mechanical Engineering Department of Poli-USP. Coordinates the participation of the institution students in the General Motors PACE (Partners for the Advancement of Collaborative Engineering Education) program and, since 2009, the world coordinator of the global vehicle development project, which involves universities from different countries. Also a business consultant. 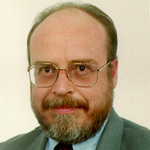 Mechanical Engineering (1987) and PhD in Mechanical Engineering (1998) degrees from the Escola Politécnica of USP. With wide experience in the mechanical system simulation design area, with emphasis on automotive applications. Has also intensely acted in engineering teaching and consultancy as well as in value analysis. Since 1988, a professor of the Mechanical Engineering Department of Poli-USP, coordinator of the Professional Master’s Program in Automotive Engineering and vice coordinator of the Automotive Engineering Specialization Program at the institution. Mechanical Engineering (1985) degree from the Federal University of Rio Grande and MSc in Mechanical Engineering (1991) from the Escola Politécnica of USP. Expert in the Mechanical Engineering area, acting mainly with the following themes: Automotive Engineering, vehicle development through virtual simulations – CAE, structural design, development of car body and frame, finite element method, vehicle dynamics, vehicle plasticity and safety. He is currently a supervisor with Volkswagen do Brasil and a professor of the Mechanical Engineering Department of Poli-USP. 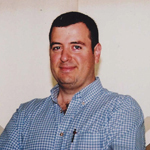 In 2003, professor Ronaldo Salvagni founded the Automotive Engineering Center (AEC) of Poli-USP and was its coordinator from 2003 to 2016. He is currently advisor to AEC. Naval Engineering (1975) and PhD (1981) in Naval Engineering degrees from the Escola Politécnica of USP. Expertise in the Mechanical and Naval Engineering areas, with emphasis on integrated design, structural analysis, finite elements, vehicle recycling and dynamics. The mentor and coordinator of the Professional Master’s Program in Automotive Engineering of Poli-USP, established in 2000 as the first stricto sensu graduate program in Automotive Engineering in Brazil. Currently a member of the Board of Directors of AEA – Brazilian Association of Automotive Engineering and Full Professor of the Mechanical Engineering Department of Poli-USP.